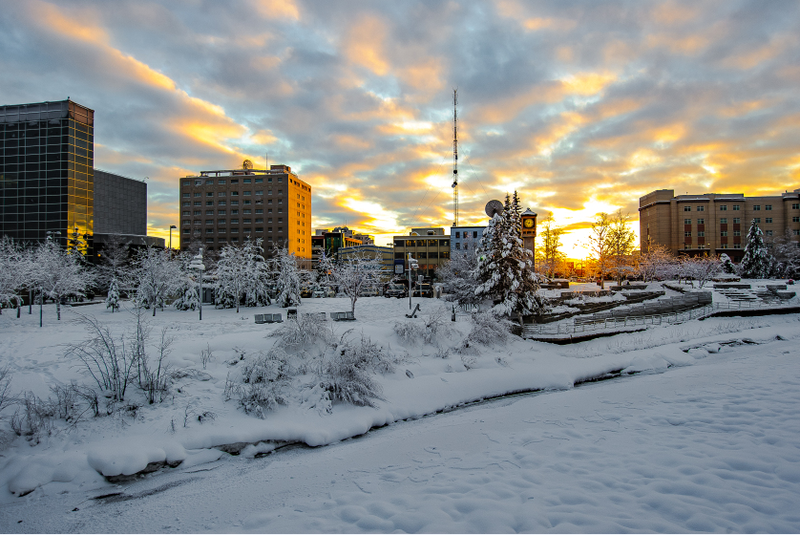 FAIRBANKS — This winter was so unusually warm in Alaska — and around the Arctic — that it took even climate scientists by surprise. And it’s virtually certain that climate change is one of the factors driving that record-setting warmth. At a Monday briefing during the Arctic Summit Science Week at the University of Alaska Fairbanks, one researcher called the record-high Arctic-wide temperatures posted in January and February “startling” and a major milepost in the long-term warming of the region. 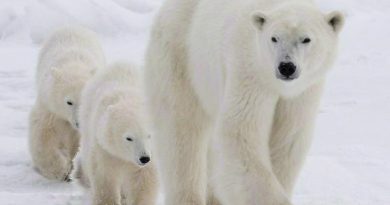 “There’s no doubt that the absolute record Arctic-wide temperatures being much greater than the previous record is probably the all-time surprise that we’ve seen in the Arctic,” said Jim Overland, a research oceanographer at the National Oceanic and Atmospheric Administration. “I keep getting surprised every couple years on how rapidly the Arctic is changing in ways we were not able to anticipate,” he said. Though other factors are at work, too, that change — not mere happenstance — is behind the new temperature extremes, other scientists said. Thoman, the climate science and services manager for the National Weather Service in Alaska, said the lowest temperature recorded so far this winter is a “paltry 47 below,” Thoman said. That was in Arctic Village around Christmas, he said. It might sound cold, but it is unusually high for a statewide minimum, he said. “If this holds up, that would be — by far — the warmest Alaska minimum temperature for a whole winter,” he said. Up to now, the record-high winter minimum temperature for Alaska is 53 below, recorded at Umiat on Feb. 18, 1988. Lack of extreme cold was “pretty remarkable” in Fairbanks, Walsh said. The city had no winter day in which temperatures fell below minus 30 degrees, he said. Usually, there are five to 10 days with temperatures under 40 below, he said. And the winter warmth showed “really remarkable consistency” across the state, Thoman said. All 13 of Alaska’s weather regions recorded average December-to-February temperatures that ranked among the top five warmest in the nine-decade record. Most were in the top three, Thoman said, and three — the western Gulf of Alaska coast, the Kodiak area and southwestern Alaska — experienced their warmest December-to-January periods on record. Statewide, 61 of the 91 days in that three-month period posted temperature averages that were significantly above normal, he said. Twenty-eight had near-normal temperatures, and only two fell into the below-normal category, he said. “If it was a perfectly average winter, you would expect about one-third in each category. Obviously, this was not that,” he said. 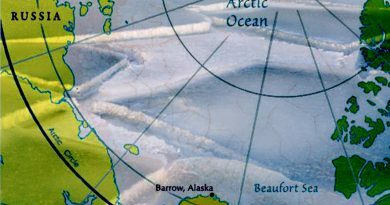 Still, Walsh said, while this winter and the warm winters that preceded it provide “a preview of what’s out there,” cold could return to Alaska and elsewhere in the north.